Don't trust lust at first sight. One woman chooses reality over fantasy in this friends-to-lovers romance, a steamy standalone by "an author to keep your eye on" (Katee Robert). As an adult woman--and the vice president of a marketing firm--I shouldn't be waiting by my office window to ogle the mystery man who jogs by every morning at 11:45. Sure, he's a gorgeous, perfect specimen of the human race, but I can't bring myself to hit on a total stranger. However, my best friend-slash-colleague Vince Carson thinks I should do more than talk to the guy. In fact, he's borderline obsessive about "getting me laid." (His words.) But the more time we spend together, the more it's clear: The one I'm falling for is Vince. 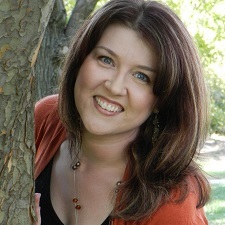 Jackie Butler's got it bad for some pompous, over-pumped A-hole who struts his stuff past her window. That doesn't bother me. I know she deserves nice things. What does bother me is that she friend-zoned me big-time last year, so I can't ask her out myself. But what if I set her up with Mr. Steroids? Then, when he breaks her heart, I can swoop in and save her like the nice guy I am. Everything's going according to plan... until we share a ridiculously epic kiss. And suddenly anything is possible. This was a really cute friends-to-lovers tale. I really loved learning about Jackie and Vince's friendship. The way she was there for him when he was going through a really rough time and how he tried to be there for her as she stepped back into the dating world. Can't say that I really cared for his little game that he played, but I did think it was a creative way to help transition them to a new stage in their relationship. They've both been hurt very badly in the past, as most divorces do, and it's hard for them to fully get past what happened to them in their last serious relationships (their marriages). While I could really like Vince, there were times when I thought he dropped the ball, badly. However, all in all, this was a cute read and enjoyable story. And I can't wait to see where this series takes us. I do have to note that I absolutely adored the author's note at the end about her husband. 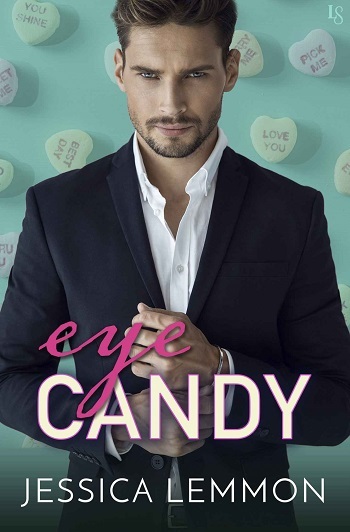 Reviewers on the Wicked Reads Review Team were provided a free copy of Eye Candy (Real Love #1) by Jessica Lemmon to read and review.